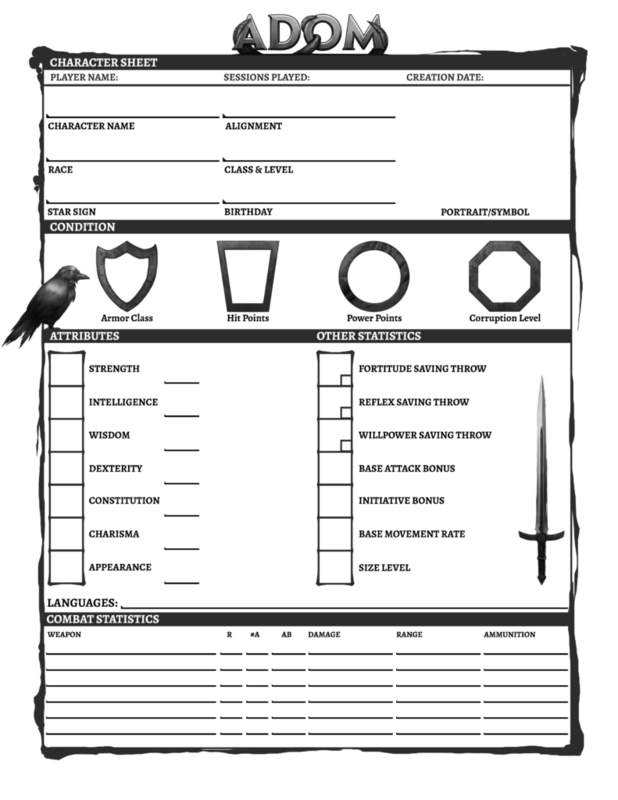 The character sheet is modeled after the D&D red box character sheet (which I personally still love best). The front page summarizes all the most important and most intensely used data, the center page has lots of details plus your skills and the back page has things like equipment, notes, wealth, corruption and experience. Additionally we have added some graphical elements to beautify the sheets (which BTW have been designed by our own Bastian von Gostomski, who also designed the cover pages of the RPG and the star signs). The we have the languages your character speaks followed by the most important weapon statistics. The center page of the character sheet provides room for personal information (like height, weight & others), background information (social status, siblings, etc. ), special abilities (either from race, class or corruption) and learned skills. 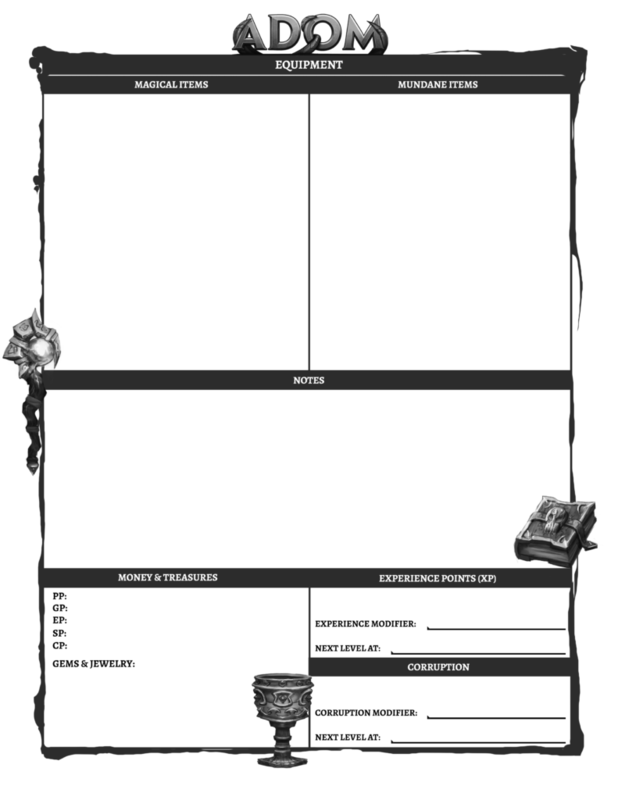 The back page lists the equipment of your character (both magical and mundane), room for miscellaneous notes, an area for your wealth and then both the corruption and experience points accumulated as well as information about when you reach next level. 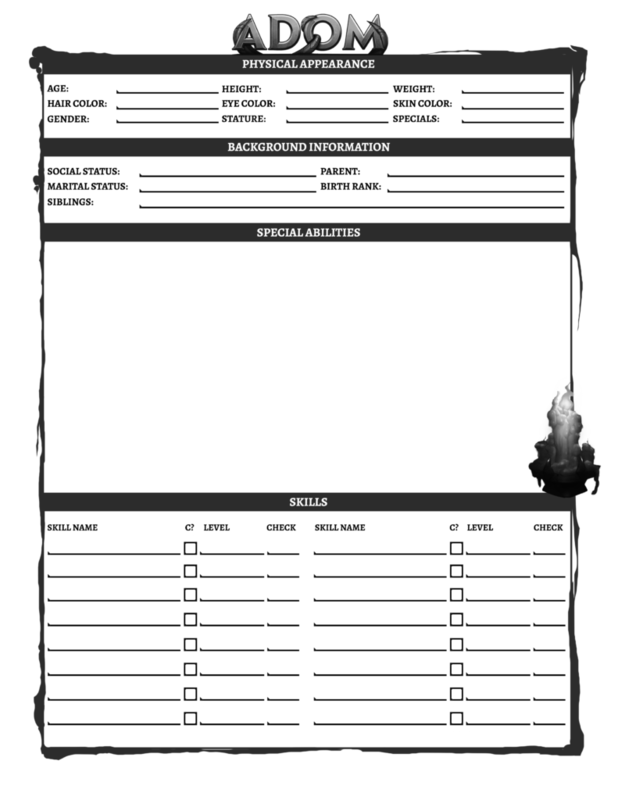 This is version 1 of the character sheets. All the truly important information is available but we are looking forward to feedback and suggestions as surely there is room for optimization. Let us know what you think! Please, try to fit this on 2 pages!